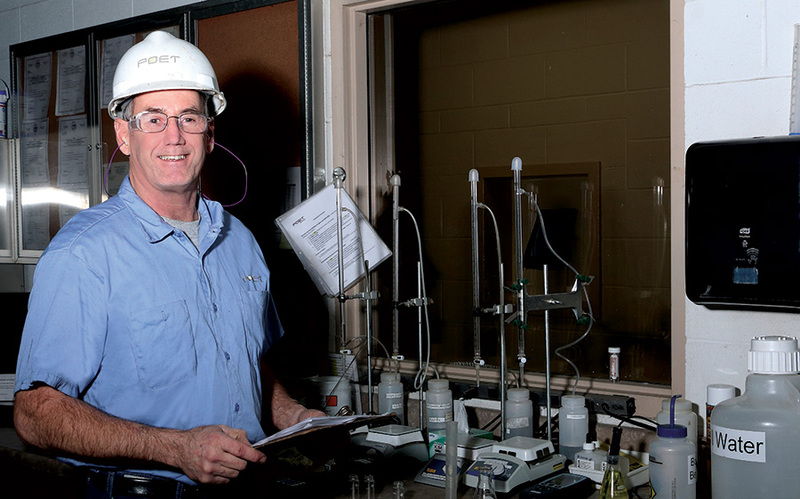 A great work ethic and a make-it-happen attitude are hallmarks of the team at POET’s Fostoria, Ohio biorefinery. For decades, Midwesterners have migrated away from cold winters, corn fields and Rust Belt realities to the West Coast in search of “the good life.” So why would someone from the foothills of the San Gabriel Mountains in sunny southern California migrate to Fostoria, Ohio? But Thomas found something even more refreshing in northwest Ohio – its fertile soil is so flat you can see the corn and soybean fields for miles, it’s dotted with mini-towns and salt-of-the-earth people who love their hunting, high school sports, and yes, their beloved Ohio State Buckeyes. Amidst that bucolic backdrop, he also found an engaged and enthusiastic work force. His workforce was not the only pleasant surprise that Thomas encountered. He knew he was coming into a green industry, but it was a whole lot greener than he could have imagined. The Fostoria plant was one of six, 68-million-gallon-per-year plants that came online in Indiana and Ohio in 2007 and 2008, as POET expanded to the eastern edge of the Eastern Corn Belt. All were state-of-the-art, and all have been looking for ways to improve on that status since day one. One recent such upgrade was the installation of variable frequency drives (VFDs), which help to reduce electric consumption, on eight major pieces of equipment. Although not considered a “major” innovation, Thomas says it nevertheless saves the plant a significant amount annually in electricity costs. The plant is active in the community, where it supports a wide range of area and youth endeavors. One new program is “Christmas with an Angel,” where team members helped to provide Christmas gifts to 28 needy kids in a local school. But Thomas says some of the plant’s greatest impacts in the community and beyond are exactly what it was originally designed to do. 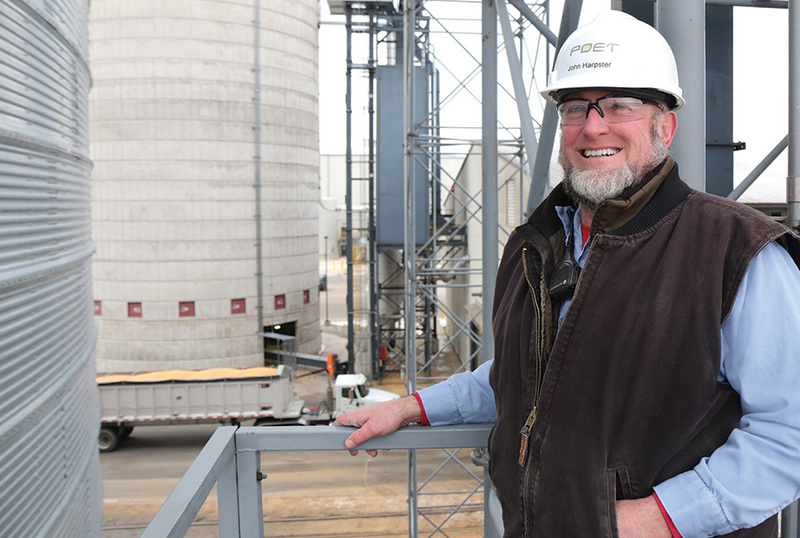 To say that Fostoria’s Commodity Supervisor, John Harpster, is very involved in the ethanol industry would be a considerable understatement. Besides supervising corn receiving and the shipping of the plant’s products at work, he also sells corn from his farm to the plant and buys DDGS to feed to his livestock. Off the job, Harpster enjoys playing with his grandkids and raising feeder cattle and lambs on his farm. But on the day this was written, he was ecstatic about another of his passions. Prior to POET, Boiler Technician Dan Fahler was working as a boiler and heating specialist for a large commercial greenhouse. 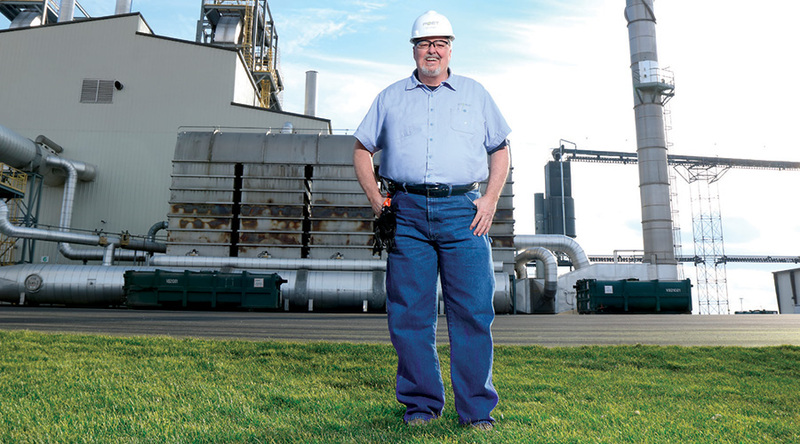 He recalls how he came to work at POET Biorefining – Fostoria. The rub is that it’s about a 70-mile commute for Fahler, but he says it’s worth it. Off the job, Fahler enjoys golfing, fishing and helping his son practice throwing the shot and discus for his high school track team. He likes that his work schedule gives him time to pursue his interests, and says his job keeps him challenged. Fellow Boiler Technician Scotty Salyers is a Fostoria native, and has been with the plant since August 2008, before it started production in September. He says it was a big change from working in the automotive industry. Off the job, Salyers enjoys raising boxers, spending time with his family, and helping friends “work on their stuff.” And like most in the area, he follows high school football. But after more than six years on the job, he says he still enjoys it.